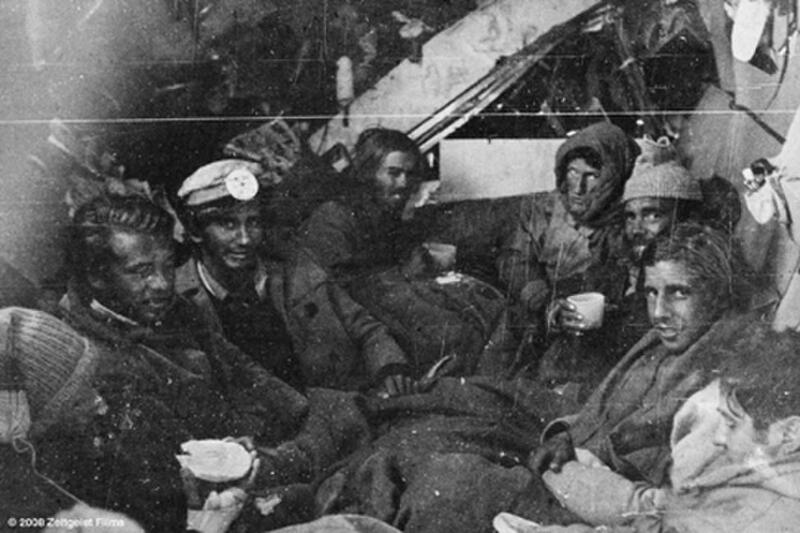 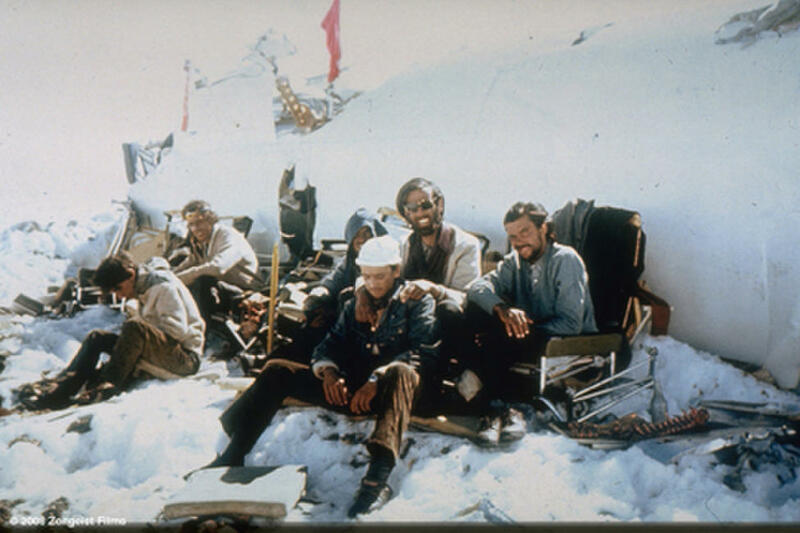 A 1972 photo of the survivors in "Stranded: I've Come From a Plane That Crashed on the Mountains." 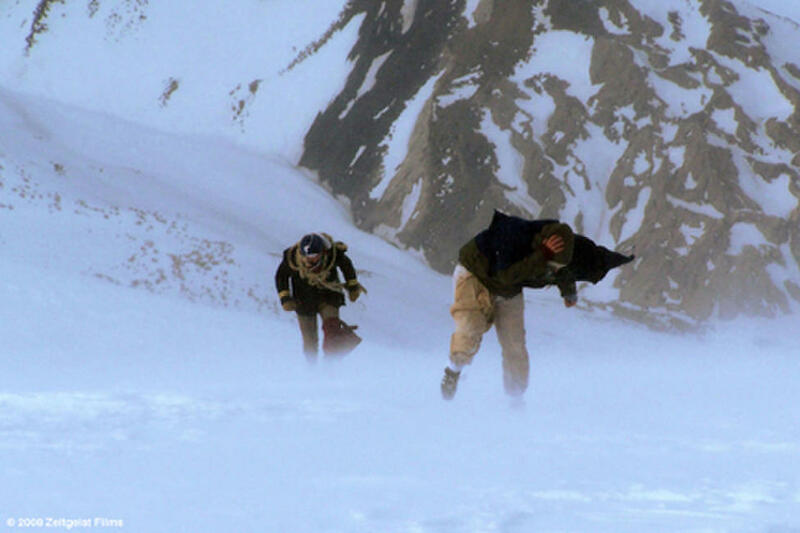 A recreation of the walk through the mountains in "Stranded: I've Come From a Plane That Crashed on the Mountains." 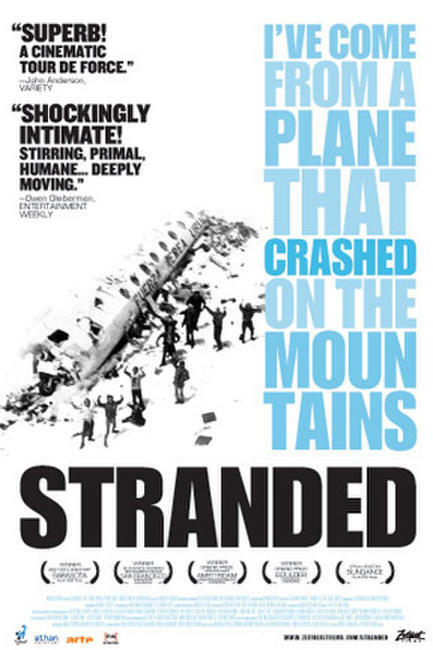 Poster art for "Stranded: I've Come From a Plane That Crashed on the Mountains."